Today all that remains of the once 500-acre relocation camp is the Rohwer Memorial Cemetery, where many Japanese Americans interned at the camp were laid to rest, and a tall smokestack, where the camp’s hospital used to stand. Two large monuments also are located in the cemetery, honoring all those who passed away while interned there, as well the young men from the camp who gave their lives fighting for the U.S. in World War II. 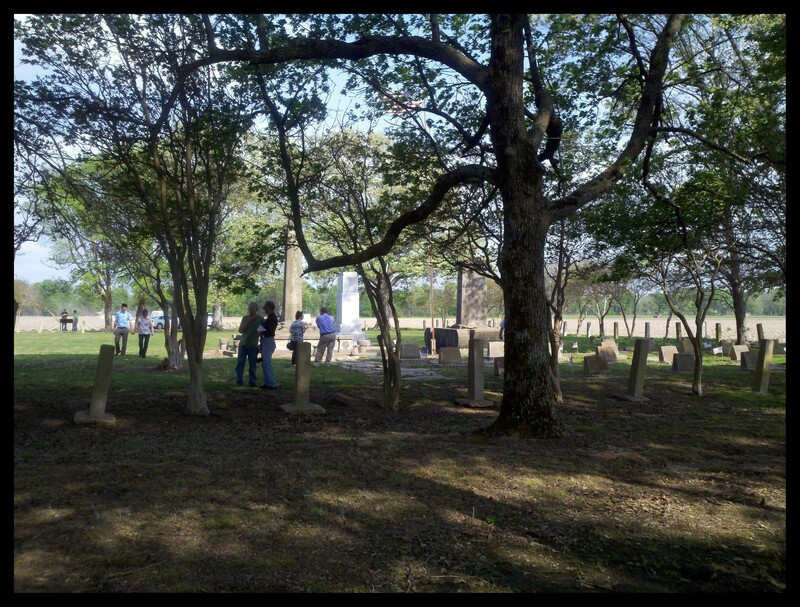 The University of Arkansas-Little Rock (UALR) currently is conserving the cemetery at Rohwer. Interpretation for the site has been undertaken by Arkansas State University’s Heritage Sites Program, funded by a grant from the National Park Service. Today, visitors to the site approach a replica small scale guard tower that serves as an informational kiosk. 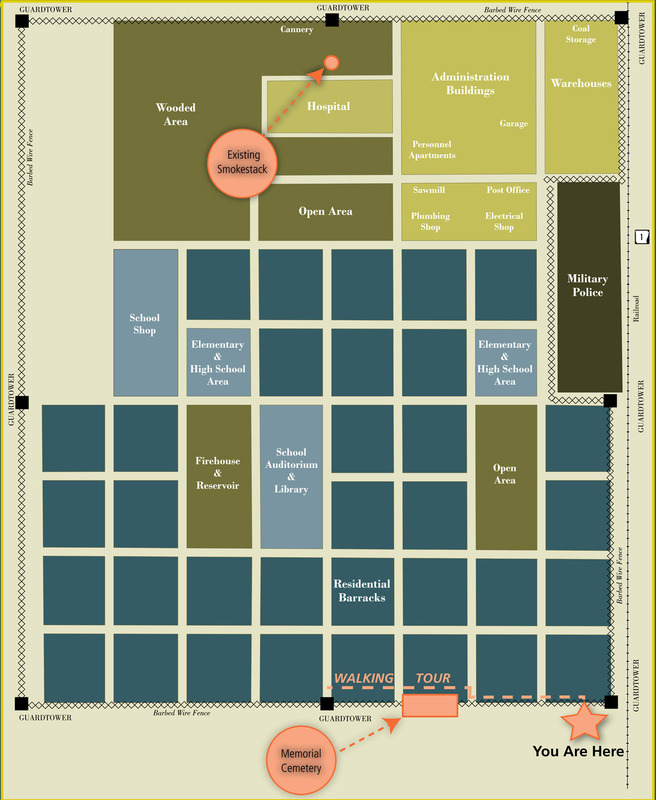 Visitors can then take a self-guided walking tour along the southern boundary of the original camp. There also is directional signage to further assist visitors. Interpretive kiosks include images, written information, and an audio narration by former child internee, actor George Takei, who discusses the history of the site and personal anecdotes from his time there. Rohwer Tower Kiosk This small scale replica of a guard tower greets visitors to the Rohwer Japanese American Internment Camp site. The tower serves as a kiosk, and is the starting point for the self-guided walking tour of the site. Interpretive panel with hospital smokestack in the distance. This interpretive panel is one of several located at key points along the walking path. 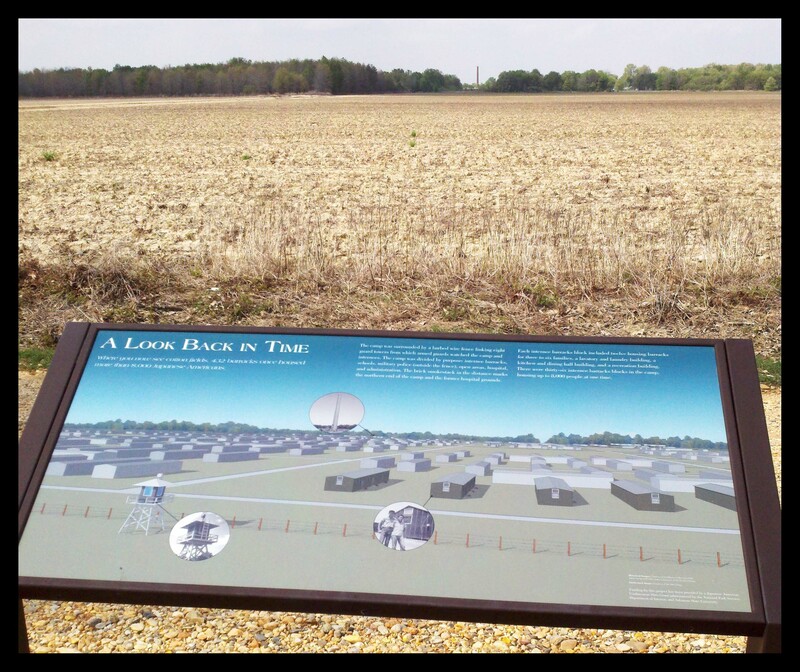 Each panel has information about the site, and includes an audio narrative by former Rohwer resident, George Takei. Rohwer Relocation Center Cemetery The Rohwer Memorial Cemetery is currently being restored by the University of Arkansas, Little Rock.